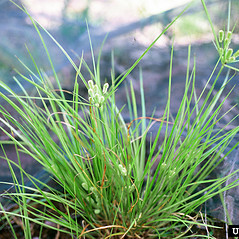 Pine barren flatsedge is very rare in New England, which represents the northern limit of its mainly southeastern range. 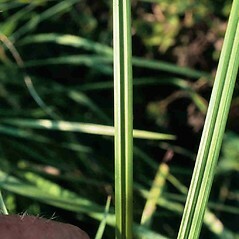 There are a few populations in Martha's Vineyard on sandy soils and trail edges. 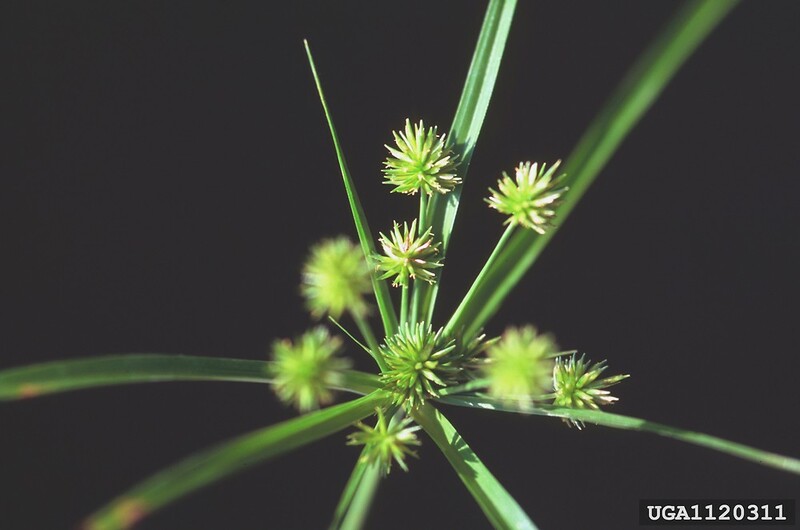 It loosely resembles Cyperus echinatus because of its rounded inflorescences, but it is a small plant with more cylindrical inflorescences. 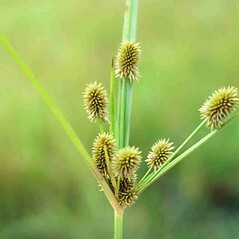 Look for its fruits between June and August. 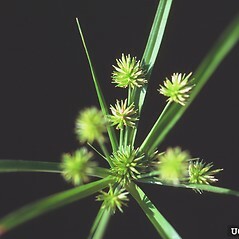 spikelets mostly 2.2-4 mm long, with floral scales 3.5-4.5 mm long, and achenes 1.5-2.3 mm long (vs. C. retrorsus, with spikelets mostly 2.2-4 mm long, with floral scales 1.8-2.5 mm long, and achenes 1.2-1.7 mm long). 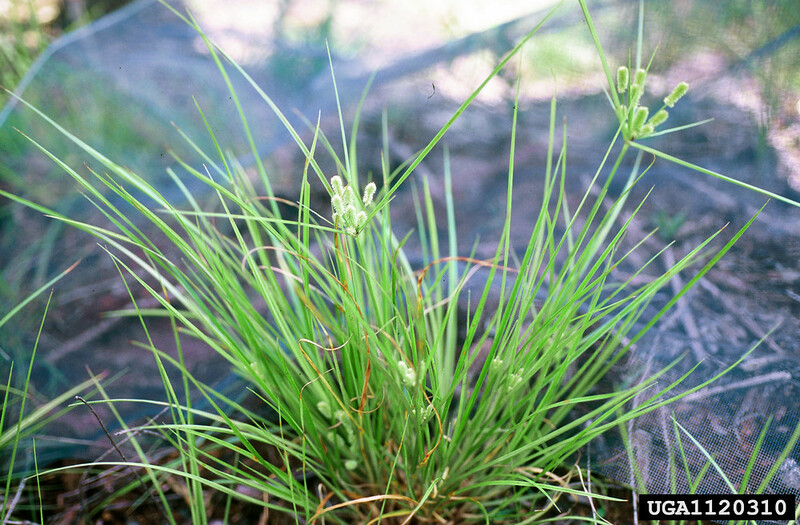 pine barren flatsedge. 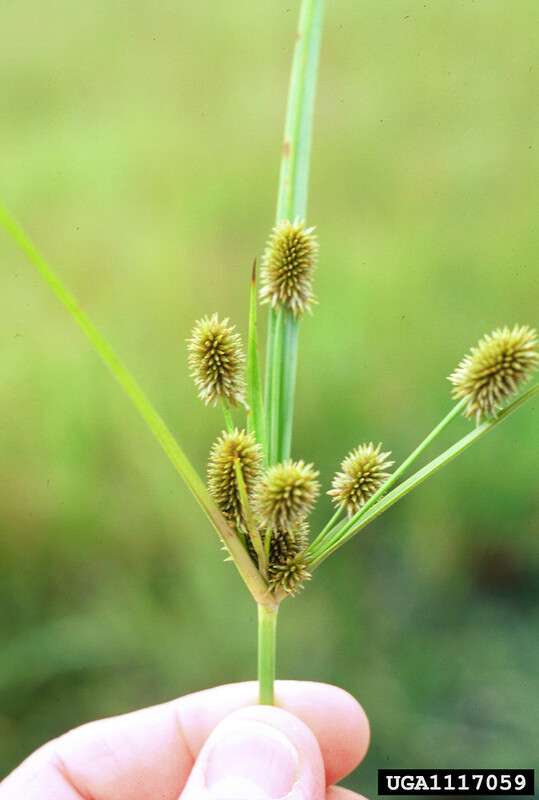 Cyperus cylindricus (Ell.) Britt. ; Mariscus cylindricus Ell. 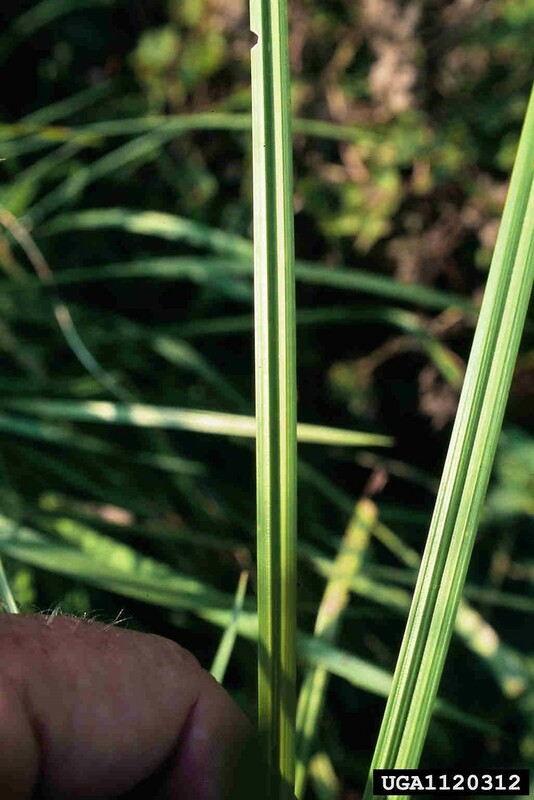 ; M. retrorsus (Chapman) C.B. Clarke • MA; Marthas Vineyard. Sandy soil of woodlands, clearings, and trail edges.